We’re just a couple of weeks away from Halloween and there’s one thing that’s on everyone’s mind… treats! 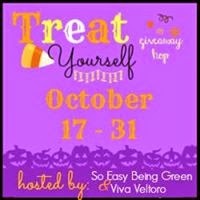 Welcome to the Treat Yourself Giveaway Hop, hosted by the Blogging Mamas Network! In this Hop, you’ll find lots of special treats to keep you entering giveaways until it’s time to go out and gather your own - so be sure to hop around to all the giveaways in the Hop Linky below and don’t miss the AMAZING Grand Prize Giveaway - from Step2! 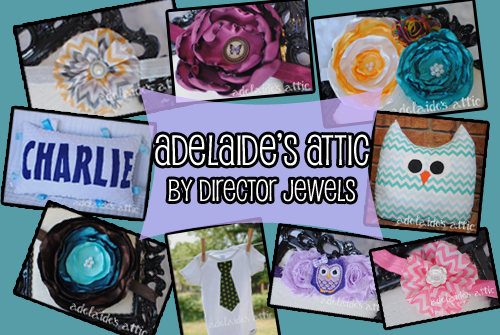 Wife, Mummy, Nurse will be giving away a $25 GC to Adelaide's Attic by Director Jewels. 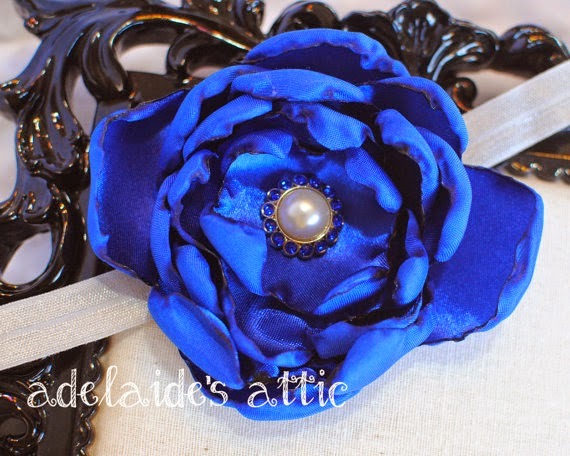 At Adelaide's Attic you will find beautiful hair accessories-headbands and clips, soft toys-loveys and pillows, and birthday party planning customized printables. 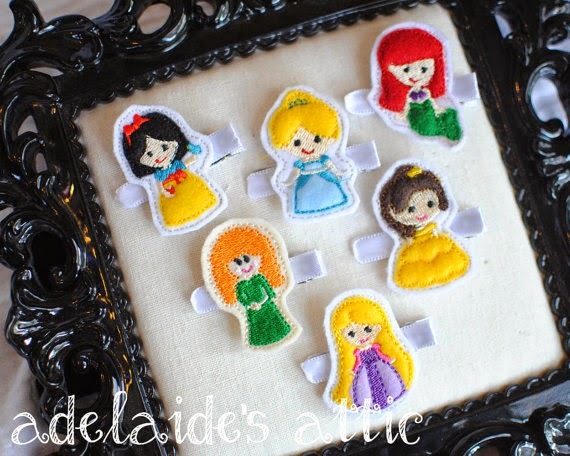 Does your little girl love Disney Princesses, then you will want to check out the Set of 6 Pretty Princess Felted Clippies. Are you a Patriots fan and want to go all out and wear a headband for the big game, then check out the Royal Blue, Silver headband. Want to make a purchase to Adelaide's Attic yourself, use this code: BLOG2014WIFEMUMNURSE for 10% off any purchase through 11/30/14. These items would make cute stocking stuffers for your children and/or nieces. So Easy Being Green, Viva Veltoro, the Blogging Mamas Network, and the Treat Yourself participating bloggers are not responsible for sponsors who do not fulfill prize obligations. i love the royals inspired headband. super cute and supports my favorite team. I love the pink and orange owl lovey! I love the princess clippies! I like the Purple Chevron Owl. I love the super mario star headband! I like the Miniature Owl Plush Pals. My favorite item is the Teddy Bear Shabby Chic Trendy Infant Headband - Baby Hair Clip - Brown, Tan. My favorite is the Purple Chevron Owl Pillow Plush Pal. I like Red & Ivory Flower Headband. I love the singed flower headbands, especially the elegant cream and coral. I love the fox headband! My favorite thing at Adelaide's Attic is the Purple Shabby Owl Trendy Infant Headband - Baby Hair Clip - Owls First Birthday Theme. I love owls and my daughter just had a baby girl. This headband would look really cute on her! I love the Halloween Pumpkin girl mouse headband, we are going to Disney for Halloween and it's perfect. My favorite is the black and white owl pillow. Just too cute. I love the Purple Chevron Owl Pillow Plush Pal - Lovey. I like the mini owl plush. I love the Pink & Gray Chevron Rosette Baby Headband! I love the Purple Shabby Owl Trendy Infant Headband, I have a thing for owls! I love all of the singed flower headbands. I like the princess felt clippies. I love the Emerald Green "singed" headband! Very pretty! I like the Honey Bear Inspired Trendy Infant Headband - Baby First Birthday Bow - Red Yellow Hair Accessory - Honey Pot. I love the Black and White Owl Pillow. the set of princess clips!! The Purple Chevron Owl Pillow Plush Pal is adorable. I love the Pink Floral Rosette Headband for Baby, Toddler, Child, Adult. I love the Unique Elegant Hand Singed Pastel Blue Flower Newborn Infant Headband, it would be perfect for Hanukkah. I love the Purple Chevron Owl Pillow. Thanks for the chance to win! I like the christmas tree headband. The penguin handband is adorable. My daughter would flip for the Pretty Princess clips! My favorite item is the Black and White Owl Pillow - Plush Owl - Geometric Design Decor. I love Strawberry Polka Dot Rosette Baby Headband. It is super adorable! I like the black and white owl pillow! So cute! I really love the Holiday Christmas Tree Rosette Baby Headband - Infant Shabby Hair Clip - Green Red White Hair Accessory. So pretty! I like the black and white owl pillow. Red and Yellow wonder woman headband! My daughter would really love the Set of 3 Pretty Princess Inspired Hair Clips Clippies, especially the Belle clippie. I love the Aqua Girl Penguin Rosette headband! I love the pink and grey chevron bow.